If you were following my Instagram last weekend, you would have noticed that a special someone hit the big 3-0. We couldn't go without celebrating, so in his honour, I threw a "Lumberjack Bash". The perfect theme for the outdoorsman. While planning, I looked for decor and recipes that revolved around the lumberjack/outdoors theme. From mandatory plaid shirts to a lumberjack-themed photo booth and more, no detail was spared. Including the food. Because good food is extremely important to my outdoorsman. When browsing the aisles at our local Bulk Barn, I came across this dried pasta. 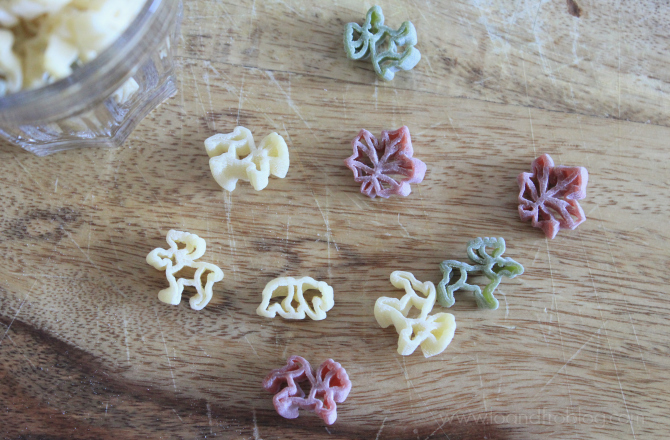 How cute is this pasta?! The bear, moose and maple leaf shapes were perfect for my theme. Now all I needed was a pasta recipe to go with. 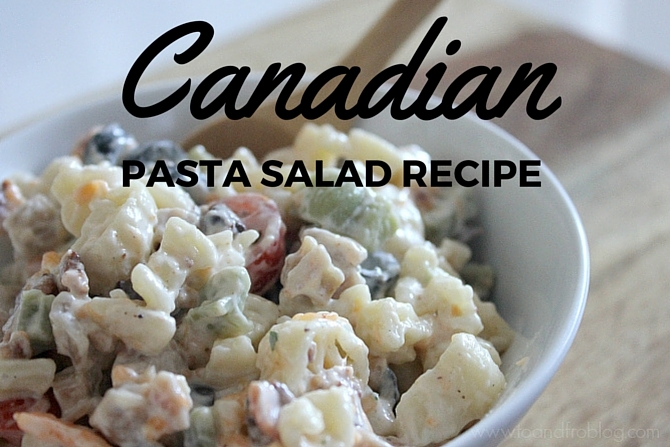 With the addition of some tasty ingredients, including bacon (because you can't leave bacon out of a Canadian-themed party), I whipped up this delicious Canadian Pasta Salad recipe. Also known as Bacon Ranch Pasta Salad. Bring a large pot of lightly salted water to a boil. Cook pasta until al dente, about 8 minutes, and drain. Cook bacon over medium-high heat, or until evenly brown. Drain grease and chop. In a large bowl, mix mayo, ranch mix, garlic powder and salt and pepper. Stir in mix until smooth. 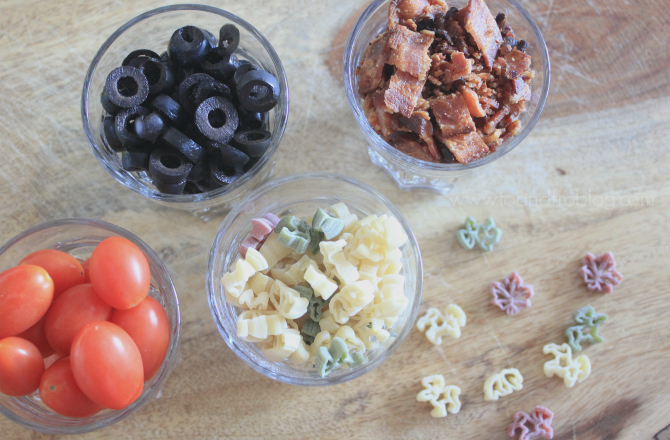 Place pasta, bacon, tomatoes, olives and cheese in large bowl. Add dressing and toss to coat. Cover and chill for at least one hour. Toss with additional milk if the pasta seems dry. What is your go-to party recipe? 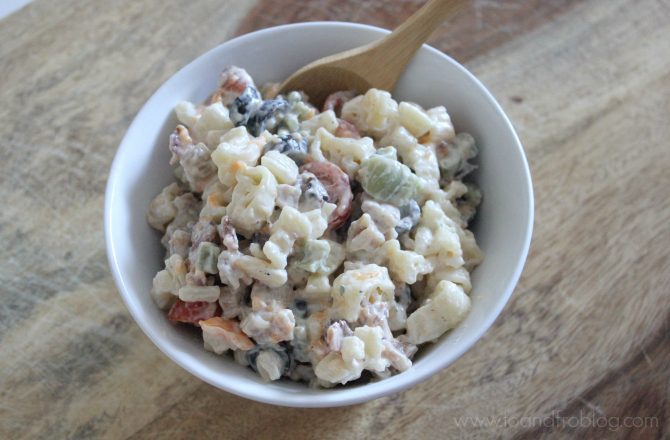 Do you have a favourite pasta salad recipe?